If you’re not using Google AdWords to promote your real estate listings, you’re missing out on a powerful, affordable marketing tool that can get amazing results. Google AdWords, the paid links that appear on the top, bottom, or side of search results, have some very specific advantages that make them an ideal way to advertise real estate listings: they require only a small investment, you can choose the exact CPC (cost per click) and cost per day you are willing to spend, and campaigns can be instantly stopped or modified at any time. With a correctly configured campaign, marketing real estate listings with AdWords can be highly effective. If you’ve never tried Google AdWords before, don’t worry; the following guide will teach you how to use Google AdWords for your real estate listing so you can be up and marketing in no time at all! If you don’t already have a Gmail account, go to new accounts at google.com and set one up. Log in to Google, click on the AdWords link and set up an AdWords account (you will need your credit card to complete this step). Choose a descriptive campaign name (your listing address works well) and you are ready to go. Location & Languages – You can target your listing ad so it appears to buyers across the country, in specific states, or in a particular zip code, or only to customers who have selected your targeted language as their interface language. Assess your listing and consider: is it the type of home that will appeal to buyers relocating cross-country or is it a more modest dwelling that typically attracts local buyers? Will your listing be of value to someone performing searches in a different language (remember, search ads are text only)? Select the options that fit your listing. 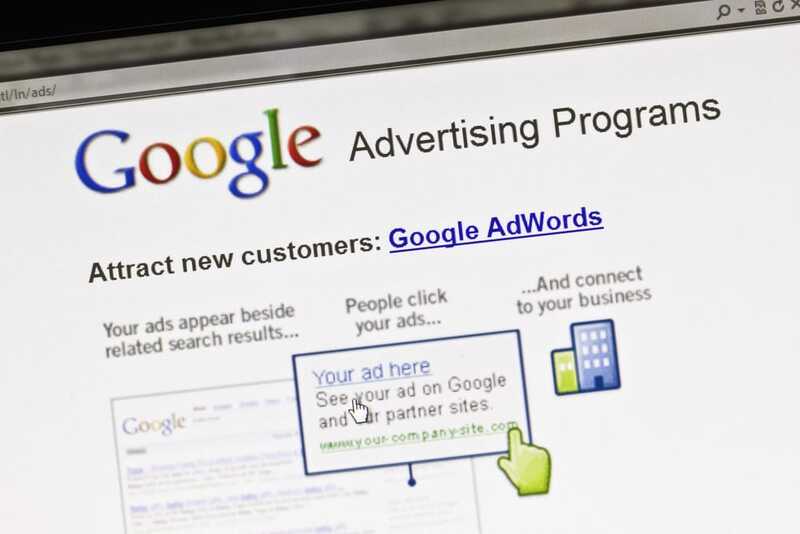 Campaign type – Google has 3 types of campaigns: Search Network only (text ads that appear when chosen keywords are searched), Display Network only (ads that contain text and media that will appear on websites and other placements related to your keywords), and Search Network with Display Select (combines the two). Display ads allow you to use pictures, but since you’re trying to tightly target your listing ads, it’s suggested you start with Search Network only. Bid and Budget – Select the cost per click and total cost per day that you are willing to pay. Ad Scheduling – Google allows you to select the time and days to run your listing ad, as well as the frequency with which it will appear. To start, leave this setting on default, to run at all times and days. Choose keywords that buyers searching for your listing would use, focusing on the specific features that make it unique and attractive to buyers. Keep in mind that the more popular your keywords are, the higher the CPC is – for example, “Miami pool homes” would be more expensive than “Pinecrest FL pool homes”. Be sure to include some long-tail keywords, such as “gated Pinecrest FL homes on golf courses” to help you reach your targeted audience. If you need assistance selecting keywords, Google includes a Keyword Planner in the tool drop-down menu. You have a very limited space, so it’s time to sell your listing as succinctly and vividly as possible. Use keywords in the title and body of your ad, and describe your listing in terms that bring it to glowing life. Don’t try to list all features, instead focus on specific ones that buyers use when searching for properties similar to your listing. Your visitors are interested in the specific listing mentioned in your ad; you will lose them if their click lands them on your regular real estate website’s home page. Instead, create a landing page devoted to your specific listing with pictures, features, neighborhood information, and more. Google provides you with a variety of tools for tracking clicks, traffic, and conversions to help you calculate the effectiveness of your ad. Click the Dimensions tab in AdWords to get information on where and when your clicks are coming from, and the Keywords tab for information on keyword performance. 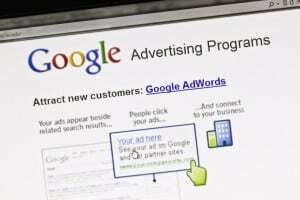 Google’s AdWords Help Menu provides useful information that will help you further refine your ad’s performance. For more Google AdWords tips, help implementing real estate internet marketing strategies, and other real estate marketing issues, you can always turn to For Sale Marketing. Our experienced team can help you every step of the way, from providing you with a responsive real estate website design to creating dynamic landing pages that help convert your AdWords clicks to verified leads. Contact For Sale Marketing today at 954-635-5168 and let our marketing team help you leverage Google AdWords and other real estate marketing strategies to get your listings sold!